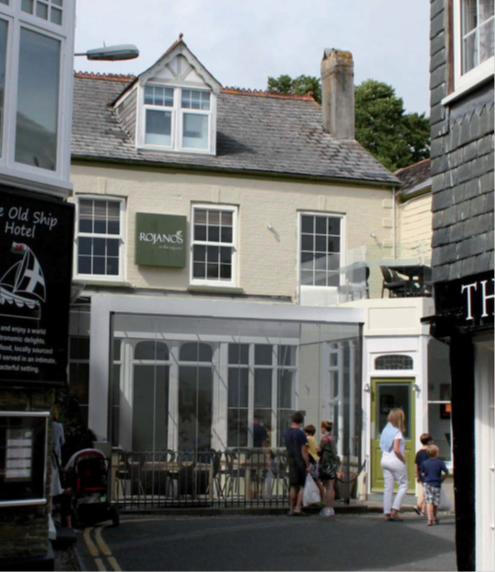 Steven Abbott Associates (SAA) have recently advised the Directors of Rojano’s (Padstow) Limited the owners of Rojano’s In The Square, a famous Italian restaurant in Padstow Conservation Area. The restaurant is operated and owned by Michelin star chef Paul Ainsworth, whose restaurant ‘Number Six’ is also in Padstow. The proposals involve the replacement of an awning over an outside seating area with a modern conservatory. The architects are CAD Architects of Truro through their heritage specialist Sam Mayou. I also applaud Cornwall Council’s case officer and Padstow Town Council for their preparedness to review the proposals with us and enable a permission to be granted"